Import demo data with just one click. 2. 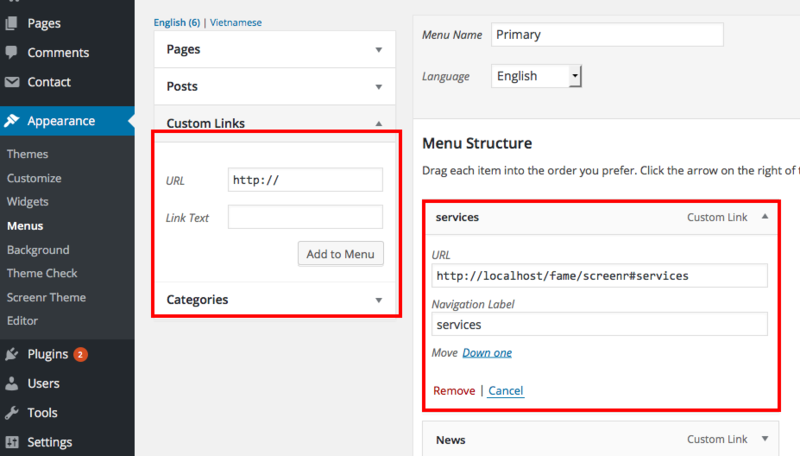 Download FameThemes Demo Import plugin and install, activate it. You can download it from here. 3. 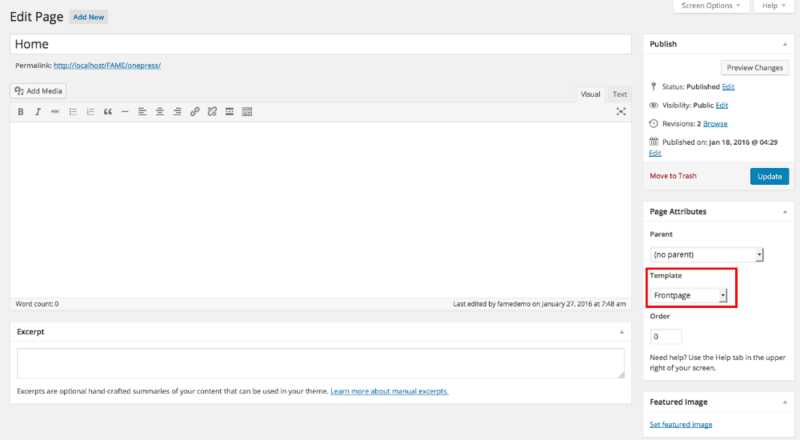 Back to Appearance -> Screenr Theme -> One Click Demo Import tab and click import demo data. 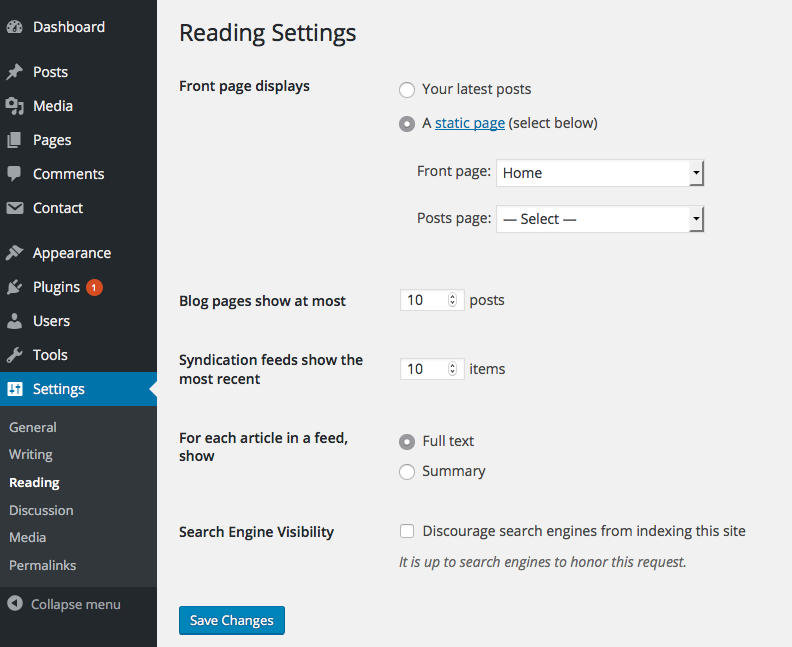 Go to Reading → Settings and change your front page to the Home page you recent created above. 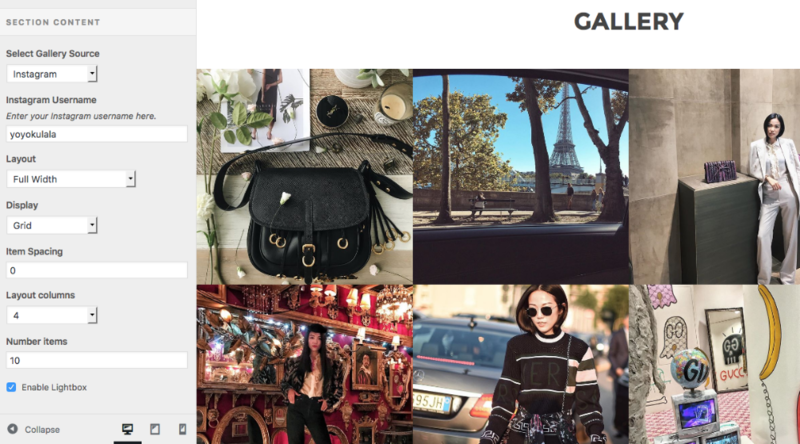 Go to Appearance → Customizer to start custom your front page content. 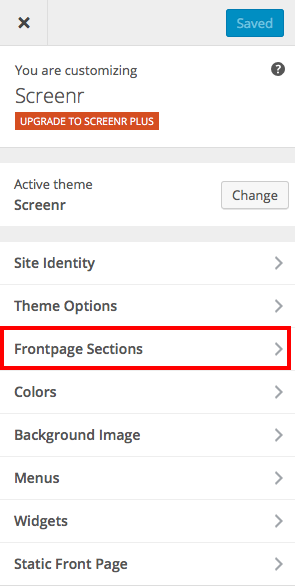 Section ID: Unique ID for hero section, useful when you want to setup one page menu. Here Item: Custom content, layout, background image for hero slider. Unlimited items and display it as a slider. 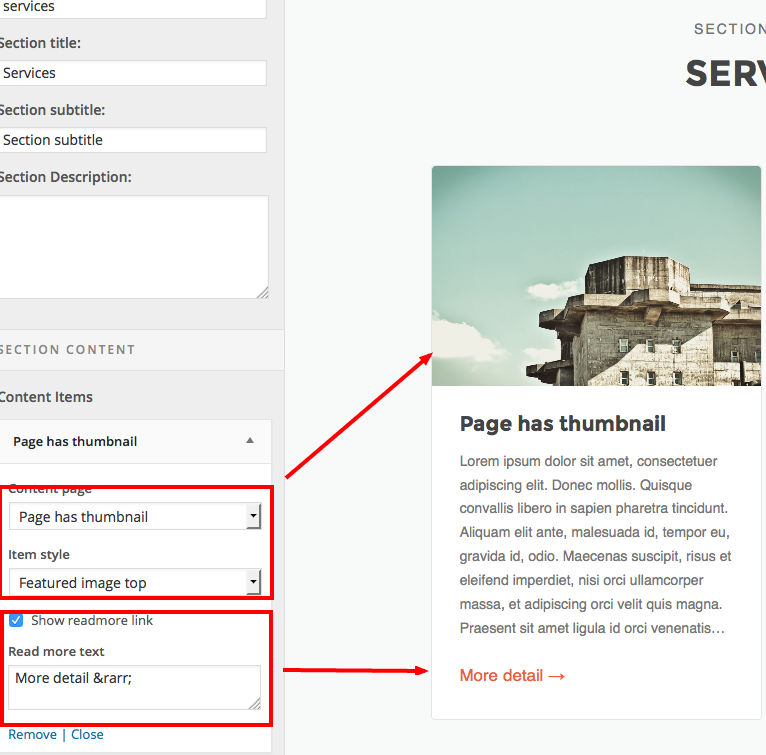 Content Items: Pages to display on features section. Layout Settings: Layout for display. 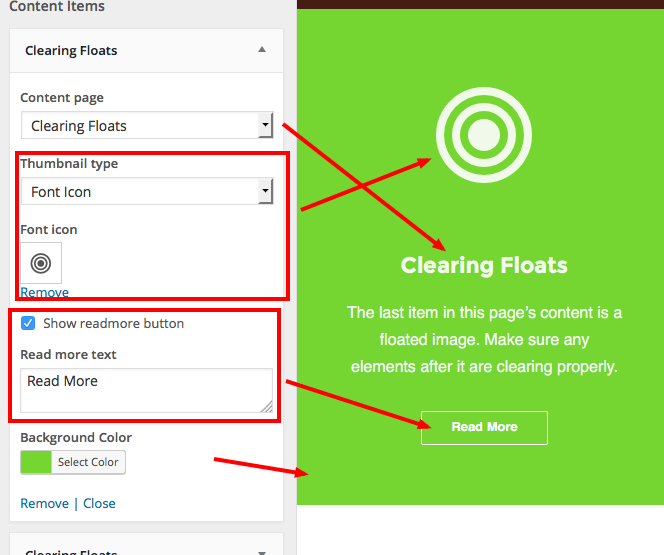 Display page: Select a page which you want to display in this section. Page content type: Chose excerpt or content to display. 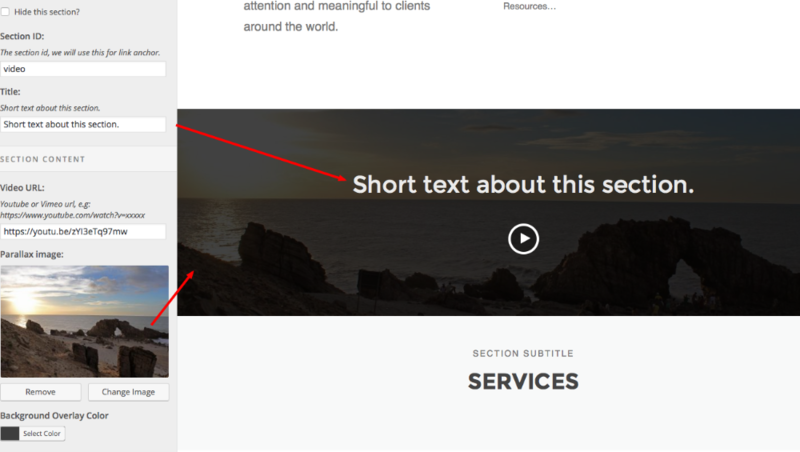 Note: Read this article to know how to show the page Excerpt box on editing screen. Video URL: Video URL which will display on lightbox. By default the Screenr just support Gallery Source from page, to unlock more source such as Facebook, Flickr, Instagram you can up Upgrade to Screenr Plus. Item style. You can select featured image or icon to display. By default the Screenr theme allow 4 counters with limited options, in order to add more counters you can up Upgrade to Screenr Plus. 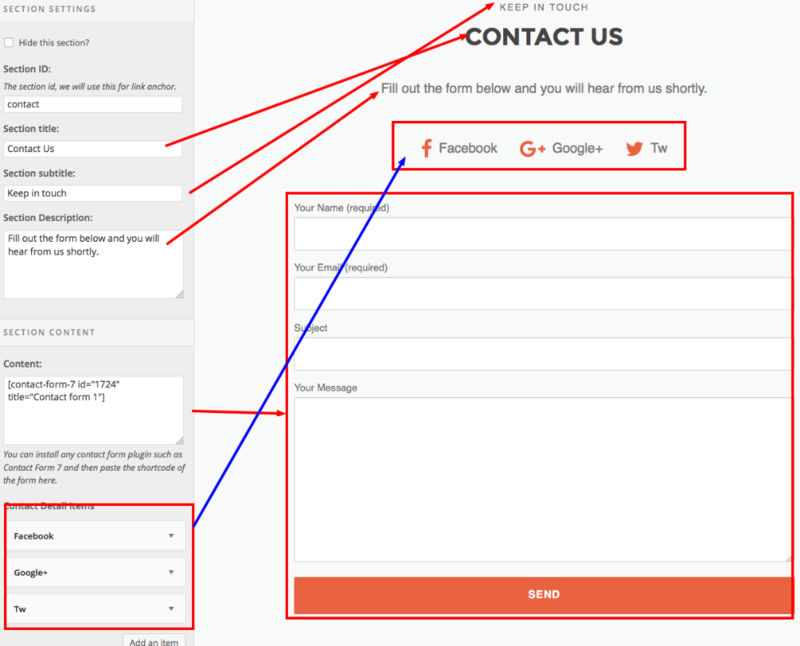 Content: In order to display a contact form you will need to install contact form 7 plugin and then copy your contact form shortcode and paste it in the contact form shortcode field. 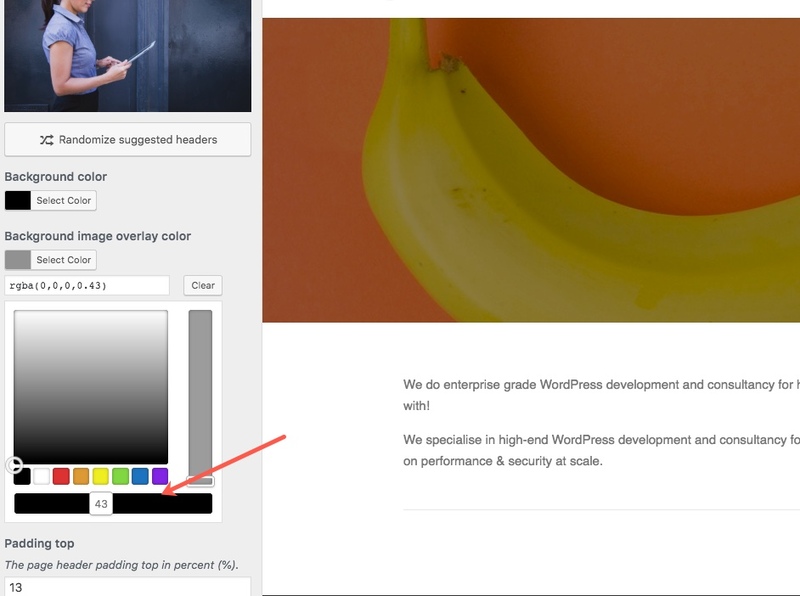 Menu Link Hover/Active BG Color. Replace #services with your section ID you recently setup from section setup steps above.